Sorry, this casino is not recommended by our expert reviewers. Check out other alternatives. 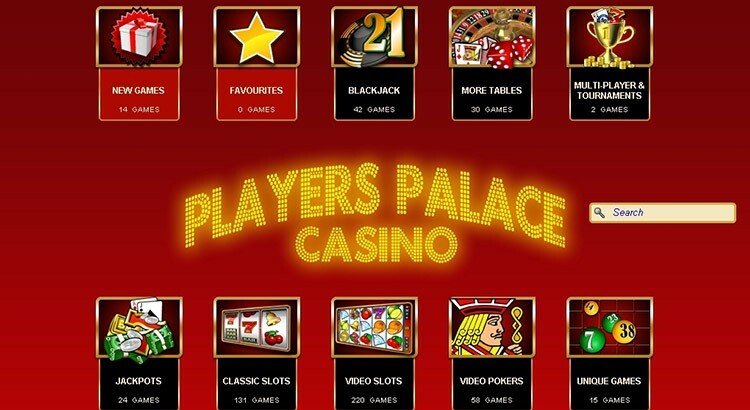 A new online casino from the highly regarded Club World Casinos group has recently launched. Manhattan Slots Casino is a Realtime Gaming software powered casino which accepts USA players and has a variety of good free spins slots. 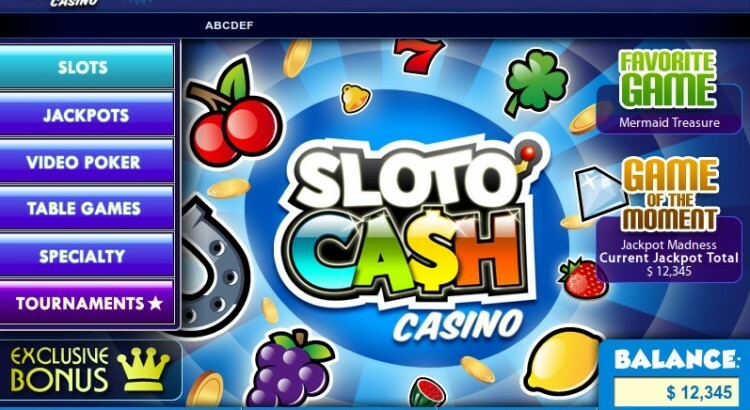 You’ll see various videos and articles on RTG slots elsewhere here on Online Casinos & Slots [.com] and while the name “Manhattan Slots” might suggest it’s only slots here, it does in fact have the whole RTG suite of casino games. It follows on the heels of the very popular (and lovely looking!) Aladins Gold Casino which is also operated by Club World and like that one, Manhattan Slots has the same suite of games. 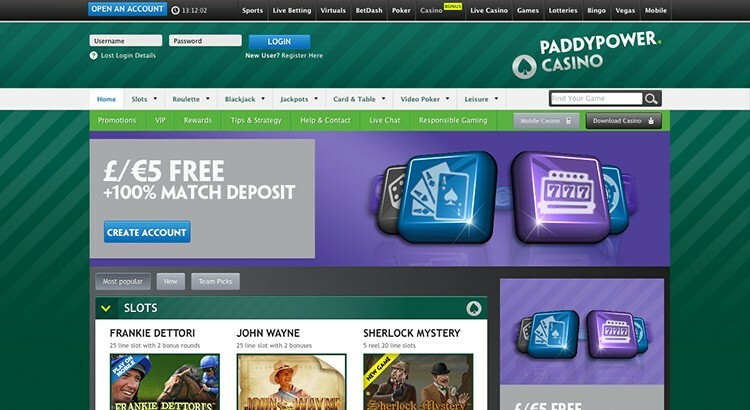 Many of you will already be familiar with Paddy Power’s online casino – really that should be plural because they have – until now – had access to an Instant Play casino powered by Wagerworks (IGT owned) and a download casino powered by Boss Media. 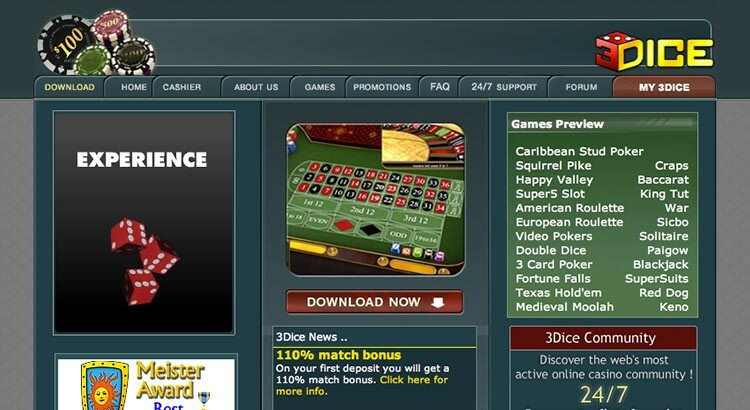 A lot of people may not have heard of the independently run 3Dice casino, but I’ve been a player here for well over a year and it’s one of the best online casinos out there IMO. The games choice is smaller – for example there are only around a dozen slots, but the games are 100% unique and very, very playable. In fact I’d go as far as saying a couple of their slots are in my all-time Top 10 (“Fortune Falls” and “Super Suits”). I’ve been trying hard to think of negatives to balance this review, and quite honestly, apart from some of the slots being streaky, I can’t think of any! 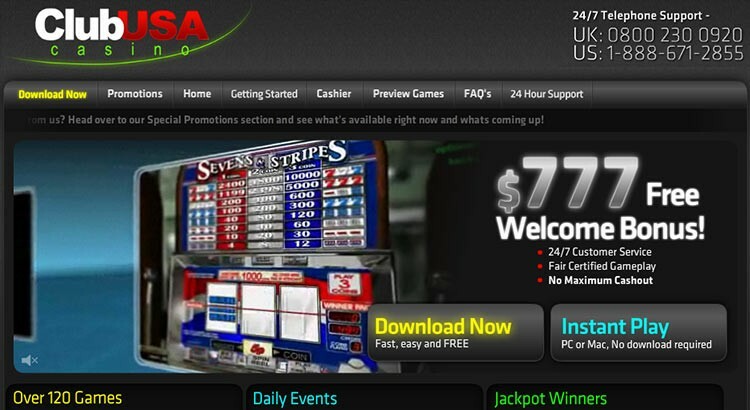 So I’ll stick my neck out and say it’s probably the best US friendly online casino I’ve ever played! 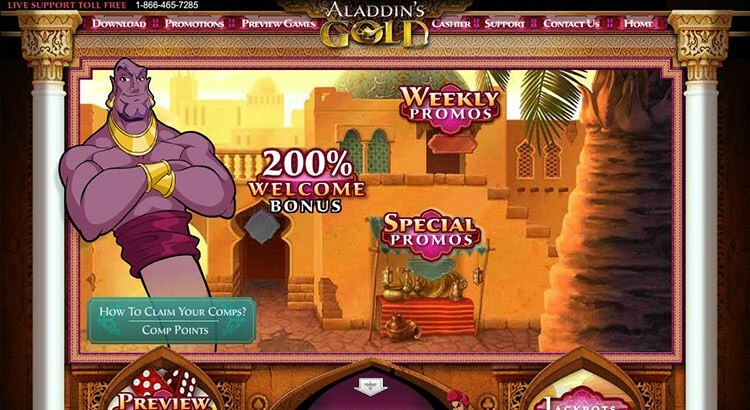 Aladdin’s Gold is a new RTG casino from the excellent Club World, who also run the very popular Club USA and the more recent Lucky Red Casino. It has fairly much the same games with a few extra slots for good measure, but different bonuses. I’ve not tested those out yet by the way but reports so far are pretty decent and like Club USA, they process cashouts at least once every weekday. As far as games go, the Real Series slots are where the action is at. There are some 50 or so free spins bonus slots with a mix of stacked wilds, free spins with retriggers and randomly awarded jackpots (minimum $1,000) which can go up to 6 figures on a good day! 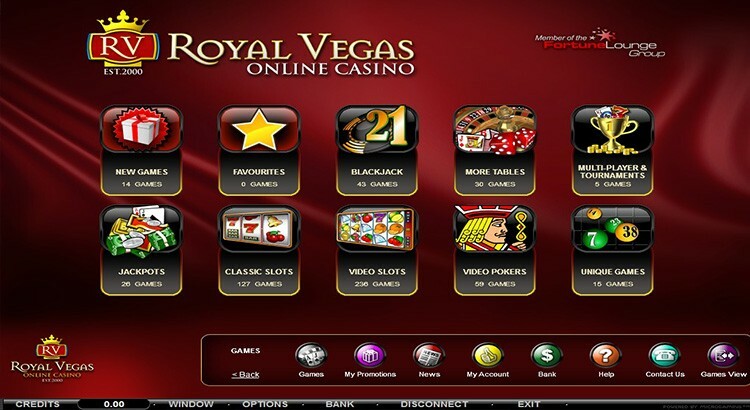 All three Club World casinos use RTG software with around 250 games. 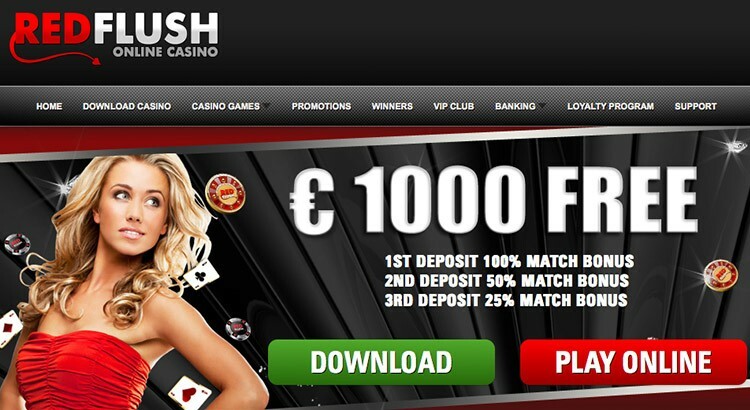 June 2008 sees the launch of a brand new Microgaming casino called “Red Flush” offering both download and Flash options, the latter of course making it a suitable Apple Mac casino playable from within any web browser. An additional benefit is that the casino accepts USA players from all but 11 States.